Things get dicey and Stella is stalked. Her Uncle is starting to worry and her Dad is still trying to entice her to come home. So what were the mysteries surrounding this mansion and the family that lived there--you will find out--eventually. The ending made me so very happy--but I won't tell you why--I think it is what the next book in this series will be about!! She may be sweet, but she's pretty stubborn herself. As Stella's curiosity leads her from one town resident to the next, a dramatic tale of family secrets starts to appear, but is she getting too close to the truth? A scary car chase in the dark has her nerves on edge, but she won't give up until she finds out who the skeleton once was. She's so close... but someone... maybe more than one person... will do anything to stop her. CeeCee James is a USA Today best selling writer who got her story-telling feet wet with the many bedtime stories she told her children through the years. 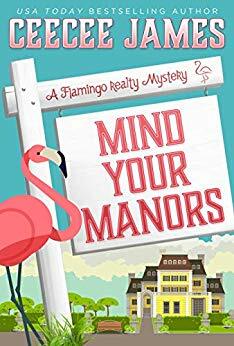 Some of her mystery series include- the Baker Street Mysteries, Angel Lake Cozy Mysteries, and the Oceanside Hotel mysteries. She's known for writing flawed sleuths with a good sense of humor and an added dash of romance. Her favorite place to write is curled up in an oversized squashy chair with a cup of coffee and a sleeping dog by her feet. She has two mini-dachshunds who like to snore and chase things in their sleep. 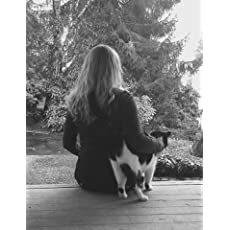 In honor of them, there are usually dogs in her books, with the exception of the Angel Lake series, which has a cat in honor of the one in her author picture. Writing has been a life long passion. Her first published works was nonfiction Ghost No More. She loves writing about love and the celebration of life. Cute cover sounds good can't wait to read this book.